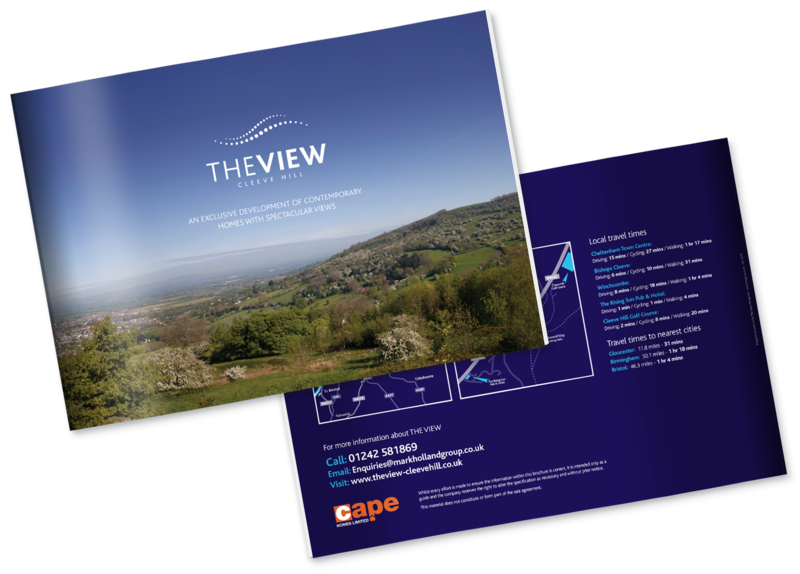 The View is a local development of 4 exclusive properties by Cape Homes Limited, part of the successful Mark Holland Group - builders of contemporary homes in the Gloucestershire area. 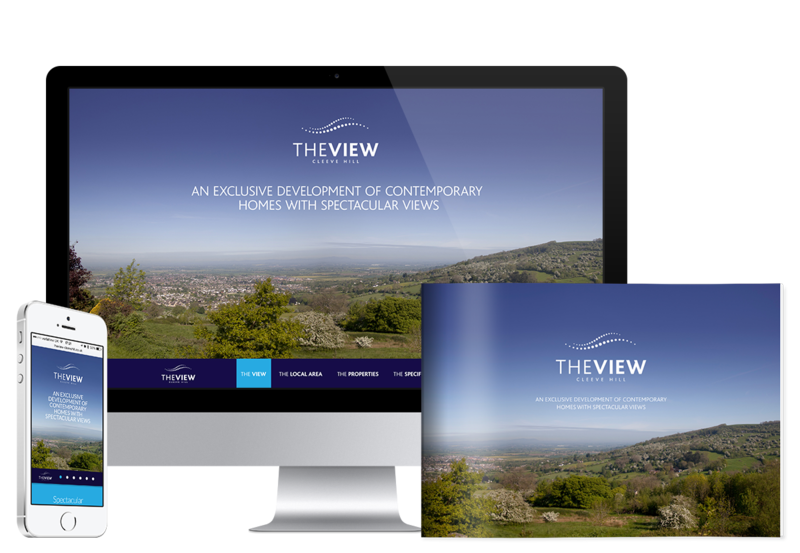 Located on the Cleeve Hill escarpment, this development of four contemporary homes deserved marketing materials to reflect the high quality of the properties and the fantastic location. Having discussed and established a budget with the client, who had never worked with a design agency before, we undertook a range of requirements to promote the scheme and aid the sales process. We developed an identity and, as with most property projects, researched the area, wrote the copy, commissioned CGIs and developed the ‘story’ for all marketing materials. The identity was modern, fresh and representative of the properties and their iconic hillside location. 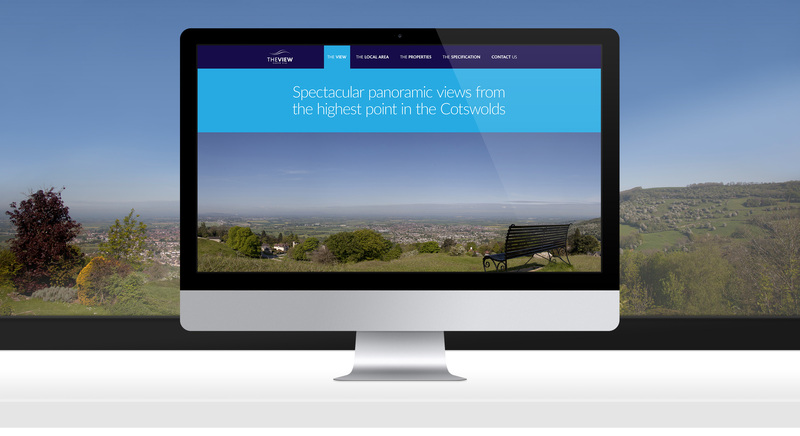 Location shots, taken by our own in-house photographer, were the centrepiece of the design, perfectly capturing the spectacular views from Cleeve Hill, which are a major selling point for the properties. A simple, scrolling format with intuitive navigation and great use of large images - the website was an impressive online showcase for the development and played a key role in generating interest and footfall. 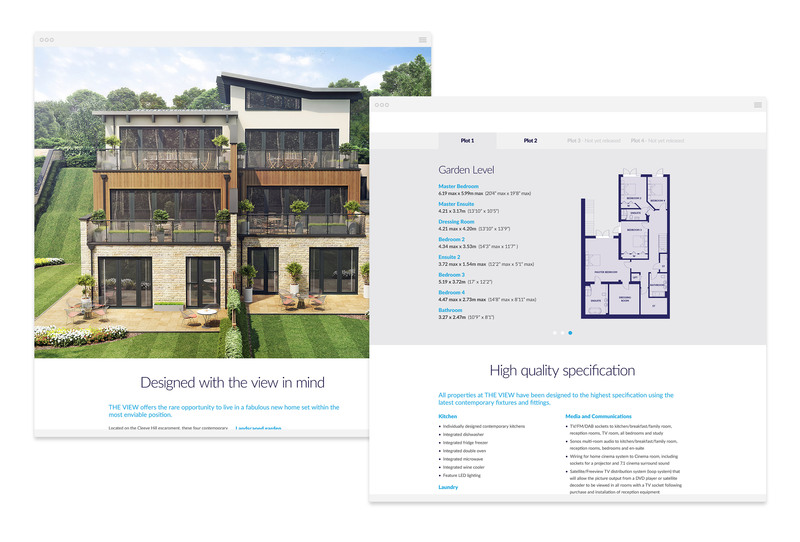 We needed a marketing company that could deliver the complete package for a new development. Our brief encompassed brand identity, photography, hoarding, website and brochure. The Lines Group understood our requirements and delivered on all aspects with great flair and creativity, capturing and relaying the essence of this new development perfectly.